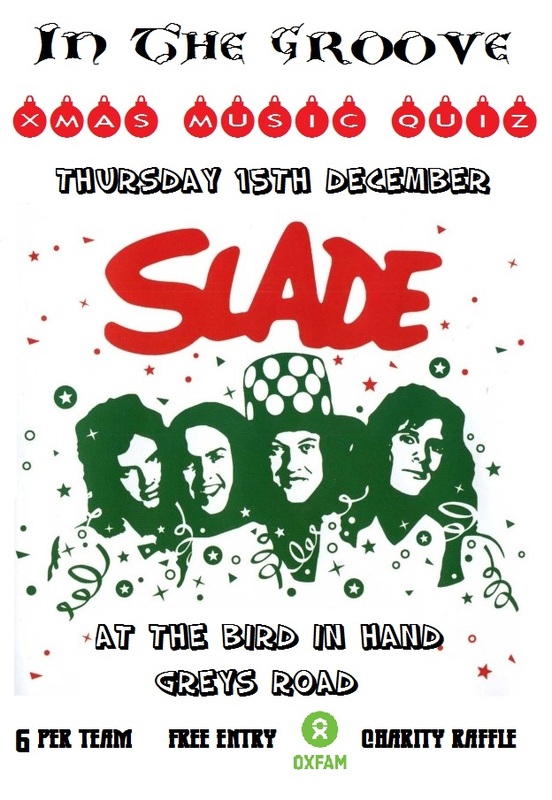 The next In The Groove music quiz takes place on Thursday December 15th at 20:30. Please be aware that there will be a vaguely Christmasy theme, so if you are easily offended by festive tunes there will be some rounds that you might struggle with. On the bright side there will be SLADE.